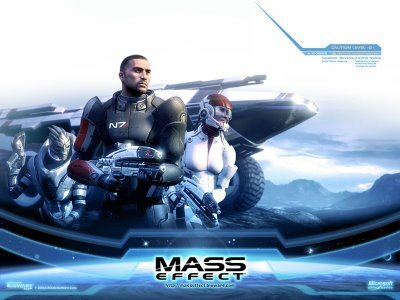 Legendary Pictures have just optioned the epic video game Mass Effect for adaption to a major motion picture. Screenwriter Mark Protosevich [I am Legend] who recently has just completed script polishing on Thor, has been handed the task of adapting Mass Effect’s extensive universe into a screenplay. Legendary Producer Avi Arad has snapped up software team Bioware’s title, which first launched in 2008 and focuses on the nuclear Commander Shepard, who explores the galaxy in his sleek spaceship, the SSV Normandy. His adventures include conflicts with many alien species, shifting alliances and an epic story that includes a race long thought extinct. Mass Effect is a great title and fully worthy of translation to screen, it boasts depth, compelling, complex characters and a heavily detailed epic engaging back story. The Game infamous for its sexual content is itself more akin to cinema than actual gameplay but whether it makes it through the development stage is, of course, another matter. Other titles, such as BioShock, look set to go but then linger in development hell for all to long. 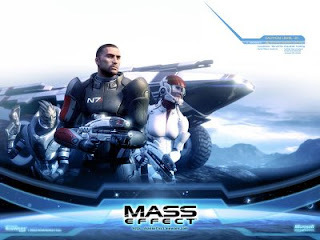 I'm reading: [MASS EFFECT] THE MOVIETweet this!